Thought Peek: How to cope with losing slots in the Run united 1 21K? How to cope with losing slots in the Run united 1 21K? 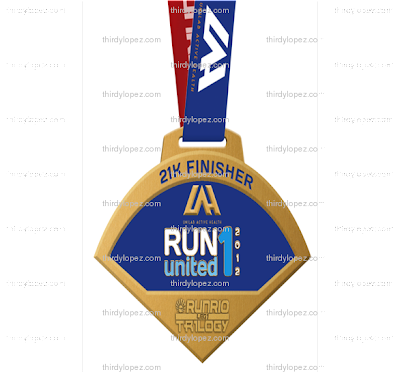 Run United is the much awaited first part of the Run United Trilogy that will reward its top distance finishers with this "magic" medal. That once completed with medals from RU1, RU2 and the RUPM gives you the key to "superhero powers". But since runners who take to long to decide had lost their opportunity to get this medal since all 4,000 21k slots had been filled up. No word from Run Rio yet if they'll incur additional work to accommodate this demand for more slots. In the mean time, here are some suggestions to coping with losing 21k slots to Run United 1 2012? 1. Register for 10k, 5k or 3k and enjoy running the Run Rio Trilogy despite missing 21k. 2. Register for RU2 and RU3 and enjoy running the rest of the Run Rio Trilogy, missing one medal. 3. Find a friend who's running the 21k and throw your friend to an undisclosed location. Assume his/her identity until Run United 1 is over. Use a memory charm so he'll forget about Run United 1. 4. Register for RU2 21k and find someone running a 21k in RU1. Make him/her your bestfriend, fling or lover. 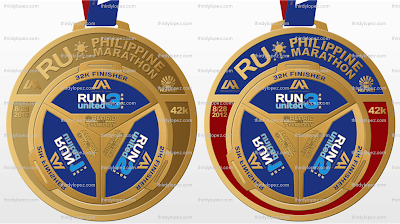 At RU3, part ways but make sure you have his/her RU1 medal. You could still complete the puzzle. 5. Register for RU2 and RU3 then hire someone to run 21k in either RU2 or RU3 you could still complete the puzzle but 2 pieces would be the same. I'm not sure if the medals will still fit together though. I'll update you once I find and think of other ideas. I have a few more in mind but my blog my get a "rep". Want to win Php 3000 GC from Diadora?